SAN FRANCISCO — Pinterest plans to set a price range for its initial public offering that will value it at below the $12 billion that private investors last pegged the company at, according to a person with knowledge of the situation. A stock market valuation of less than $12 billion for Pinterest raises questions about investor demand for these companies. Lyft, the ride-hailing company that is deeply unprofitable, went public last month amid a great deal of hype — until its shares promptly fell below its offering price on its second day of trading. The stock has since recovered. How Lyft and Pinterest perform in their public debuts will be critical in the lead-up to the public offering of Uber, the largest of this generation of tech start-ups. Uber is expected to go public in the next few months at a valuation of around $120 billion, in what would be the biggest offering by an American company. Several other smaller companies are planning public offerings, including Zoom, a video conferencing company; PagerDuty, a software company; and Slack, an office communications company. The Wall Street Journal earlier reported that Pinterest’s public offering price range would put it at below $12 billion. Pinterest’s filing on Monday will coincide with the beginning of the company’s so-called road show, during which it plans to pitch institutional investors before its final pricing and first day of trading. High demand from investors could lead the company to raise the price of its shares. Private investors have poured $1.5 billion into Pinterest. A market debut below $12 billion would spell a loss for some of them. Pinterest, which makes digital pin boards that allow people to save images and links from around the web, has traditionally been conservative in its spending and approach to growth. 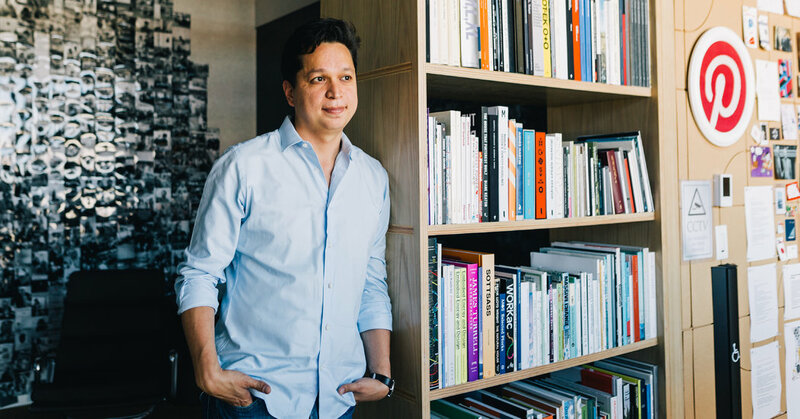 Its chief executive, Ben Silbermann, built Pinterest slowly and steadily. “Pinners,” as users are known, use Pinterest today to create collagelike mood boards on topics such as food, events and hobbies. Like its peers, Pinterest loses money. But the company, which generates revenue from advertising, is burning less cash than Lyft or Uber. Last month, Pinterest revealed it lost $63 million on revenue of $756 million in 2018. Pinterest is also growing quickly, reporting a 60 percent jump in revenue between 2017 and 2018.